From Lesley who presented the chart at a 50th anniversary: "...I never go back to you after our family get together to let you know how well the chart was received. 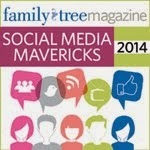 You did a fantastic job and everyone loved, loved the chart!" From Teresa who gave a chart as a gift to her parents: "Here's a photo of my parents with their chart. I posted it on FB and got so many compliments; several asked where I'd gotten it done so I passed along your info. My parents were thrilled with their gift and it generated a lot of discussion at our family gathering. Thanks very much for such a fine job, especially under tight time constraints." 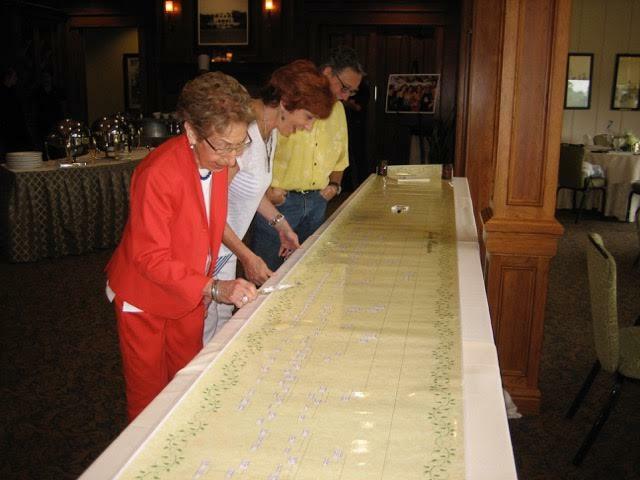 Maureen took her chart all the way to Europe to share with her family: "To say the Cannon Wall Chart was a huge success is truly an understatement. They loved it! They were amazed I had so much information about them. The little ones were delighted to see a photo of themselves… Many thanks for your wonderful work and service in providing such a splendid gift for me to share with my Irish cousins….Everyone who has seen my chart is so impressed." Family ChartMasters would love to create a chart for your next big family event or for gift-giving in the upcoming holidays. 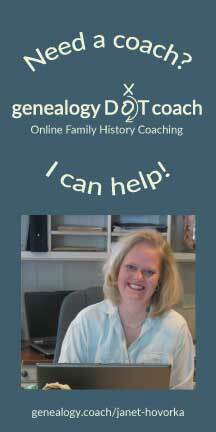 Check out our chart gallery or upload your file here for a free family history chart consultation.